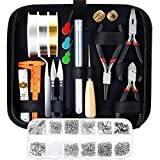 Before you get started on our homemade jewelry projects, you’ll want to collect some essential jewelry making materials and jewelry tools. The main supplies required for creating jewelry are the tools, threads, wires, findings, beads and charms. 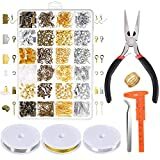 Initially I managed to find all of the jewelry making supplies I needed at the Amazon Jewelry Making Section. 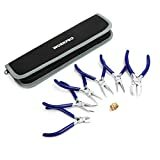 There are several Amazon sellers in this section, but over time reading through reviews and researching I narrowed it down to a few good sellers Beadsmith, Beadaholique and Beadnova, they were all recommended for the better quality and durability. 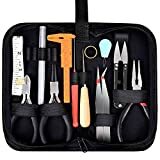 Prior to you making a start on any of the jewelry making projects, you will want to gather together some necessary jewelry making tools. 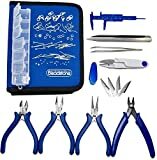 Jewelry making findings are a must have for all your homemade jewelry projects. So it makes sense to always maintain a healthy supply. The very last thing you want is to get almost finished with your piece only to discover that you don’t have the crimp bead to close! 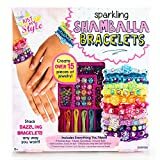 If you’re just now getting started with homemade jewelry, you might want to consider buying a starter pack of jewelry making materials. Most suppliers will have several types available and they are great for beginners. 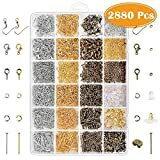 Starter packs are the most useful method of getting a supply of the fundamental jewelry making parts such as the pins, jump-rings and clasps. Numerous colors can be found to ensure all the parts of one’s jewelry will work well together. Nothing glitters like your gold! 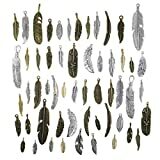 What beader doesn’t require silver for making jewelry and gold jewelry making supplies? You can get 14 karat gold, silver plate, sterling silver and a tonne of gold/silver filled beads to guarantee the elegance of your jewelry. 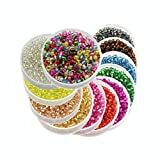 You’ll soon uncover a comprehensive assortment of beads for jewelry making online, from the finest quality glass beads and gem stones, to fresh water pearls, silver and gold filled beads and much more. 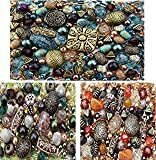 In fact most suppliers dedicate an entire section to the many styles and designs of beads from around the world. 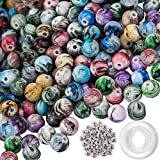 Keep in mind that there are so many places selling beads online it will pay you to shop around for the best deals, especially when purchasing jewelry making beads in bulk. 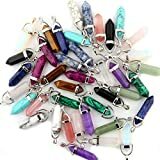 A nice choice are Gemstone Beads which are sold by strand length, this makes for a few beautiful unique gift ideas! I would also recommend a simple beading board this will be invaluable when laying out your beads for a homemade necklace. 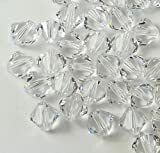 Swarovski Crystal beads are generally regarded as the best available; they are genuine lead crystals with an unquestionable historic reputation throughout the world. 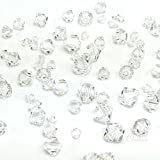 Since the beginning Twentieth century, Swarovski crystal beads have enjoyed a major role within custom jewellery because they have a magnificent sparkle. 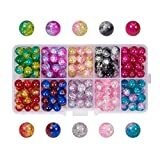 Lot 200 pcs 4mm Bicone (#5328) Swarovski Crystal Beads. 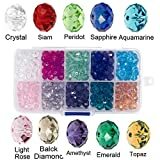 Assorted Colors! 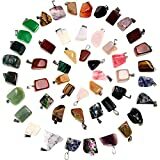 Pendants for jewelry making can make an excellent focal point to your necklace. 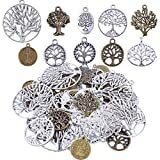 It is possible to find hand designed pendants at great prices and in many different styles. 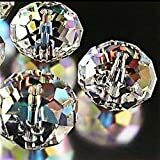 Swarovski pendants would be best if you want that exceptional sparkle for a homemade gift. 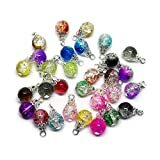 Glass jewelry making pendants can also give your necklace a stylish look. 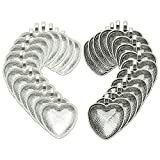 Metal pendants will definitely jump out at you and acrylic pendants can add a playful vibe to your jewelry. Wood and semi-precious pendants will give you that organic feel. 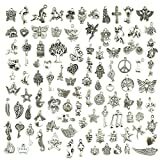 You can explore an awesome variety of finely crafted charms for jewelry making, offering a wide array of designs and concepts. 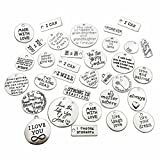 Charms give a personal touch to your jewelry creations and are perfect for putting together sentimental gift items for your nearest and dearest. 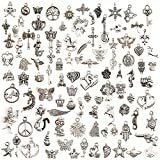 Whether you’re searching for precious metals like gold and sterling silver or base metals and pewter, jewelry making charms can be purchased in a considerably wide number of substances and finishes to make sure you have the ideal addition for your concept. There are lots of jewelry making threads and jewelry making wires to pick from. 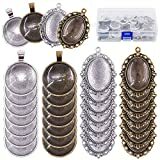 Your choice is determined by the size as well as weight of the beads and pendants, the size of their holes and whether or not any of the thread will be left showing. 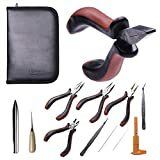 Jewelry making kits are typically developed by specialist designers. 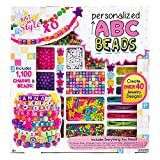 Bead jewelry kits would be the simplest way to create impressive looking jewellery, without the need to invest in lots of jewelry making materials individually. Every package includes all you need to create the piece. 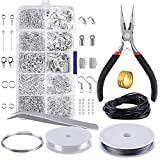 It will consist of the cording, findings and beads required, together with full, easy to understand directions. There’s a huge quantity of kits from which to choose online. 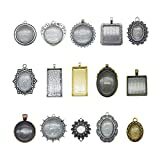 Some are designed with sterling silver, some use gold plate items and others have glass crystals. 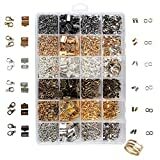 There you have it, a comprehensive list of all the jewellery making materials and supplies needed to make homemade jewelry, I hope you enjoy this hobby as much as I do!